It’s no secret that you inherit certain genetic traits directly from your parents. But, as Isabelle Mansuy, a neuro-epigeneticist at the University of Zurich, shows, early traumatic experiences might show consequences even generations down the line. 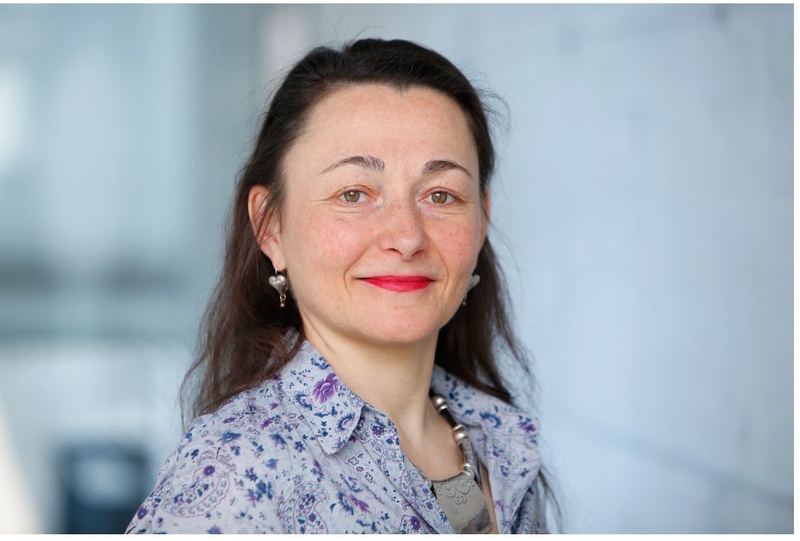 Isabelle Mansuy is Professor in Neuroepigenetics at the Medical Faculty of the University Zürich, and the Swiss Federal Institute of Technology in Zürich (ETHZ). She completed a PhD in Developmental Neurobiology at the Friedrich Miescher Institute in Basel, Switzerland and the Université Louis Pasteur Strasbourg, France, then trained as a postdoctoral fellow in the lab of Eric Kandel at the Center for Learning and Memory at Columbia University in New York. She was appointed Assistant Professor in Neurobiology at the ETHZ in Dec 1998. Dr. Mansuy’s research examines the epigenetic basis of complex brain functions and focuses in particular, on cognitive functions and behavior in mammals. Her work revealed the existence of molecular suppressors of memory in the adult mouse brain, and identified the Ser/Thr protein phosphatases calcineurin and PP1 as such suppressors. It demonstrated their role in the epigenetic control of memory formation and synaptic plasticity in the adult brain, and their importance in cognitive deficits associated with aging, Alzheimer’s disease and neurodegeneration. Isabelle Mansuy’s research also studies the mechanisms underlying the influence of negative environmental factors on behavior across generations. This work recently demonstrated that traumatic stress experienced in early life leads to depression, loss of behavioral control, impaired social skills and altered cognitive functions, and that these behavioral symptoms can be transmitted across several generations. It newly revealed that such inheritance depends on epigenetic mechanisms involving DNA methylation and non-coding RNAs that aberrantly mark the genome in the brain and the germline. I. Mansuy’s research is highly relevant for the clinic and has a strong potential for the future development of therapeutic treatments for cognitive and psychiatric diseases. It is unique by its pluridisciplinarity and its combination of genetically- and environmentally-modified animal models, state-of-the-art epigenetic methods, and molecular, behavioral, electrophysiological, proteomic and imaging techniques. She has co-authored many research articles, reviews and books in the field of molecular cognition and neuroepigenetics. She is member of the Swiss Academy of Medical Science, the Research Council of the Swiss National Foundation, the European Molecular Biology Organization, etc, and is recipient of the Medal of Chevalier dans l’Ordre National du Mérite in France. She is acting in multiple review boards including at the German Federal Ministry of Education and Research, CNRS in France, the European Neuroscience Institute Göttingen. She is chief co-editor of BioMolecular Concepts, and member of the editorial board of several scientific journals including Hippocampus, Neurobiology of Diseases, Frontiers in Behavioral Neurosciences, Biology of Mood and Anxiety Disorders, and Frontiers in Epigenomics. Gene-environment interactions are determining factors for the etiology of psychiatric disorders, diabetes and cancer, and are thought to contribute to disease inheritance across generations. A new study demonstrates that small non-coding RNAs in sperm are involved in the inheritance of the effects of traumatic experiences in early life across generations. It reports in mice that traumatic stress experienced chronically during the first 2 weeks of life alters behavioral and metabolic responses in the exposed individuals when adult. Traumatized males exhibit behavioral despair and depressive-like behaviors, lower avoidance to aversive and dangerous environments, and antisocial behaviors. They also have severe glucose and insulin dysregulation. These behavioral and metabolic symptoms are not only manifested by the animals directly exposed to trauma, but also by their offspring across the following 2 generations. They are associated with alterations in the level of small non-coding RNA molecules called microRNAs in the serum and the brain of adult animals across generations, and in the level of miRNAs and another class of small RNAs, piwiRNAs, in mature sperm of males directly exposed. Injection of sperm RNA isolated from traumatized males into naive fertilized oocytes is sufficient to recapitulate the behavioral and metabolic alterations in the resulting offspring, and in the offspring of animals resulting from RNA-injected oocytes. These findings therefore demonstrate that traumatic experiences in early life can leave marks in sperm cells that perpetuate the effects of these experiences across generations.